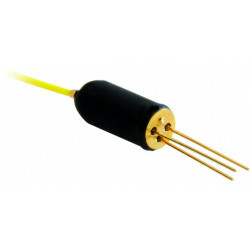 Fiber Optics There are 132 products. Bandwidth requirements for modern communication infrastructures are accelerating the trend of implementing more and more fiber optic solutions in mobile and stationary networks. 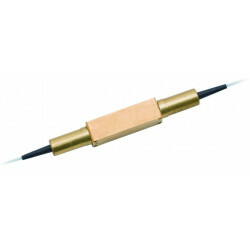 Our fiber optic range includes products that are required to build a fiber optical transmission path. These paths are used in all places where data or optical power are meant to be transmitted. Our product portfolio includes components for private and public networks as well as ones for industrial applications. The focus is on customized solutions and products for use in local area networks (LAN), wide area networks (WAN), in-house and hybrid cabling, and fiber management systems. More specifically, we offer active and passive components, various fibers, different cables, patch cords, and pigtails as well as cable management systems. 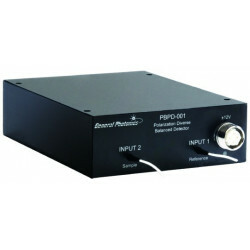 General Photonics Manual Variable Optical Delay Line VDL-001 erzeugt optische Verzögerungen bis 600 ps (~18 cm). The FST-001-B is a piezo-driven fiber stretcher with a long optical delay range of up to 3 mm. 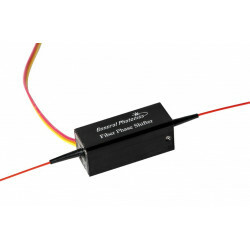 The device comes complete with a piezo driver packaged in a user-friendly small enclosure. 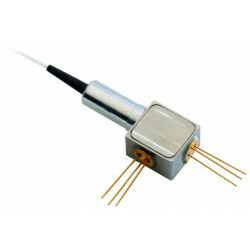 General Photonics phase shifter produces phase shifts up to 15 pi at modulation frequencies from DC to 20 kHz. 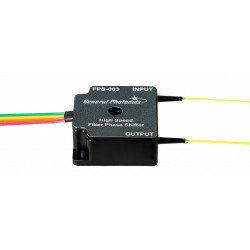 The FPS-003 all fiber phase shifter/modulator combines a wide modulation bandwidth (up to 60 kHz) with low half-wave voltages to create a long-range device that can be driven by standard function generators. OCT- und Sensorsysteme erfordern hochleistungsfähige ausgewogenePhotodetektoren, um das Signal-Rausch-Verhältnis des Systems zu verbessern. Die BPD-003 wurde speziell für OEM-Anwendungen in solchen Bereichen entwickelt, die auf niedrige Kosten und geringe Größe sowie hohe Leistung ausgelegt sind. OCT and sensor systems require high performance balanced photodetectors to increase system signal to noise ratio. Polarization sensitive OCT and similar applications require separate analysis of the two polarization components of a signal. The PBPD-001 is specially designed for use in such systems. Simultaneously detecting the powers of two orthogonal polarization components is important for many sensor and measurement applications. 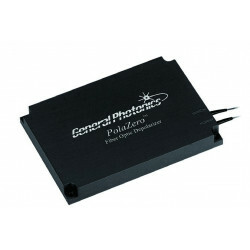 A pigtailed polarization beam splitter coupled with two photodetectors can be used for such applications; however, this arrangement is bulky, troublesome to handle, and costly. Simultaneously detecting the powers of two orthogonal polarization components is important for many sensor and measurement systems, to either obtain polarization related information or minimize polarization sensitivity. 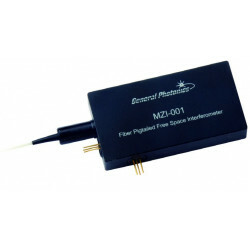 The MZI-001 is a fiber pigtailed compact Mach-Zehnder interferometer, based on freespace optics, for detecting changes in optical frequency. 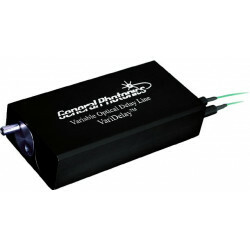 The device comes with two fast photodetectors for the balanced detection of the two complementary outputs of the interferometer. 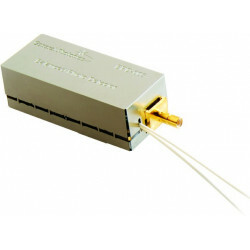 This patented device comes in a package as small as 85 × 60 × 10 mm for lasers with coherence lengths less than 10 meters. Devices for coherence lengths in the kilometer range can be custom made in a larger package, with nominal customization fees. PMD and PDL are important considerations in many applications, especially high data-rate communications. With the development of high precision test equipment and tighter-tolerance systems, a need has arisen for extremely precise calibration standards. 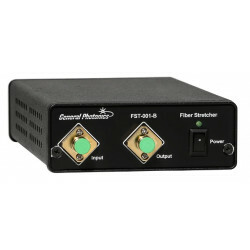 GPCs’ fixed differential group delay lines eliminate the need for precise measurement of PM fiber lengths to add defined amounts of first order PMD to a system.